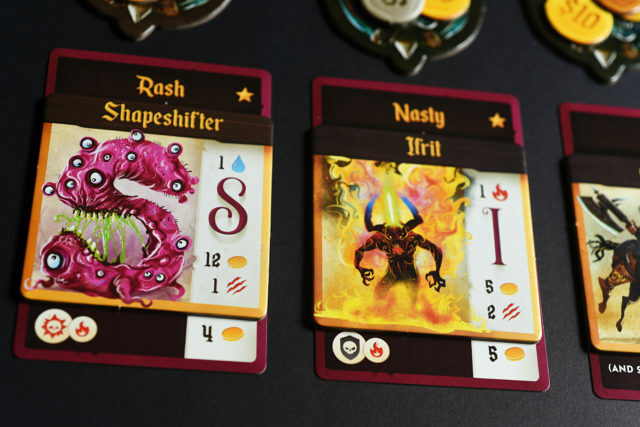 Spell Smashers from designer Christopher Chung (Lanterns: The Harvest Festival) takes the spelling action of games such as Scrabble and Boggle and adds strategical and tactical decisions by including a fighting element. 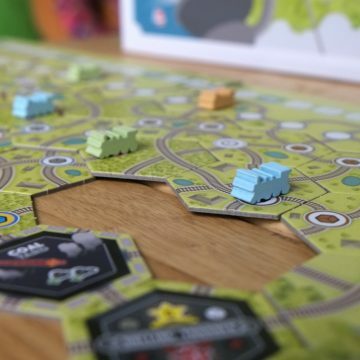 The game plays over three phases: prepare words, battle monsters and visit town. During the prepare words phase players simultaneously use the cards from their hands, which can be consonants, vowels or wounds, along with any monster tokens, to craft the strongest, most powerful word and defeat the monsters. Sometimes the longest word might not be the strongest word. 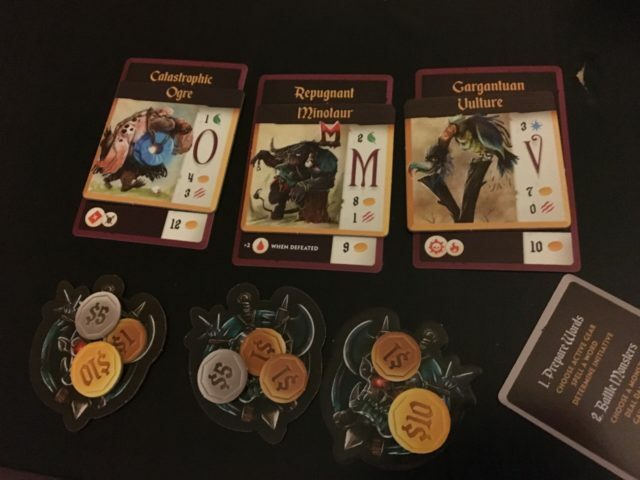 Each letter (vowel, consonant, monster token) and wound (which mostly have more than one letter) will have a point value assigned to them as well as a damage type. Some monsters might be vulnerable to certain damage types, others might be immune to them, so be careful when crafting your word to take those factors into account. That eight-letter word might seem great until you realize the monster you are targeting is immune to half of your cards. The battle monster phase starts with the player who has spelled the longest and they get decide which monster they want to target. After the attack is complete players take a number of wounds depending on the monster they are attacking. Each wound card is a negative point at the end of the game, so you are incentivized to use them in future words. They also clog up your hand, as you only draw up to seven cards each round. If you are stuck with four wound cards it can be very difficult to create a great word the next round. Once everyone has complete battling their monsters they visit town. The town board has several locations to help you conquer more monsters or heal up. At the armory you can buy gear, either a weapon or armor, which can make your attacks more powerful or protect you from wounds. The alchemist offers three different potions that can help you manipulate the cards you have. The elixir lets you change the damage type of a letter, the antidote lets you discard a letter or wound card and the tonic lets you change one letter of your choice. The shaman lets you discard your wound cards for a price. At the tavern you can buy ale depending on how many wounds you have suffered. A visit to the guild will result in more quests. How your visits to town go will greatly affect your future encounters. Having the right gear or the perfect set of potions can turn a seemingly weak attack into a fatal blow. 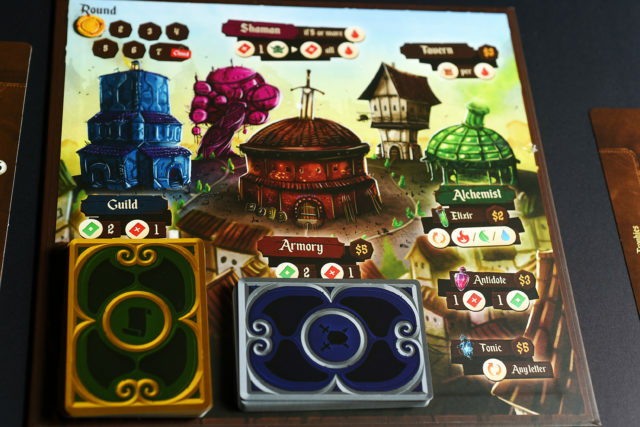 The game ends after seven rounds with players adding up their monster trophies, completed quests, coins, gear and ale tokens before deducting any wounds. 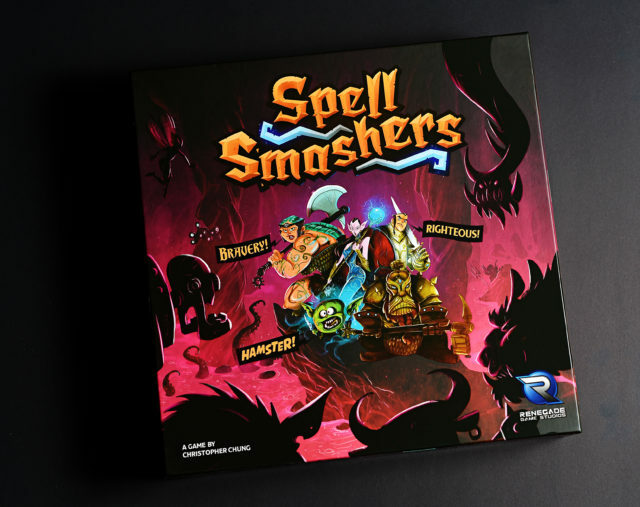 While Spell Smashers adds many twists and modifiers to other spelling games it suffers from one major drawback: players are not entering the game on a level playing field. Some people are just better spellers than others, and while the game does mitigate some of that advantage, (it’s not like you have no chance of winning against better spellers as you would in Scrabble), gamers who aren’t adept spellers might not enjoy Spell Smashers. That being said you do not need have won your Grade 4 spelling bee to enjoy, or be successful at the game. Depending on the monster set up spelling a shorter word, and going, last might put you in the perfect position to finish off a monster and claim the trophy. Getting wounds, while annoying, can also lead to a point-building strategy if you keep visiting the tavern and collecting ale (this may have been my main strategy one game). 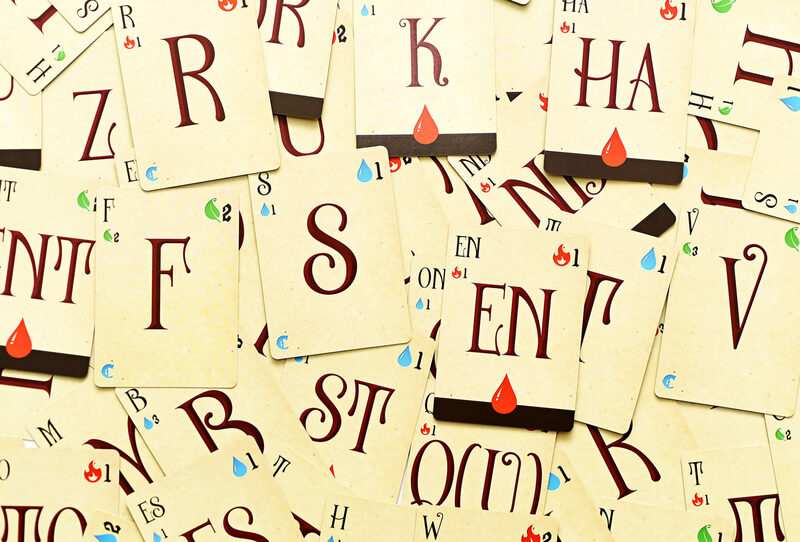 Wounds also let you craft longer words, as most of the wound cards have two or three letters. Another drawback of the game is what I would dub as SP, or spelling paralysis. Crafting the best words from your cards, monster trophies and potion tokens will definitely lead to some brain-breaking moments where you just know the perfect word is out there if you can just figure it out. 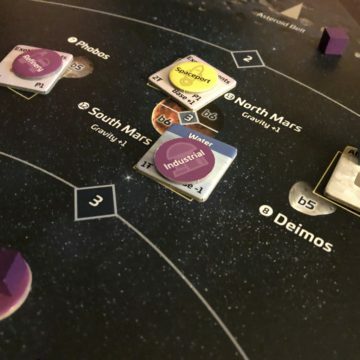 One solution is putting a timer on the prepare words phase, but that might make the game too stressful and take out some of the fun of the game. I think it was a very good decision to leave a sand timer out of the game. If people are finding the rounds taking too long they can house-rule it, but by omitted a timer, and any mention of a time limit out of the rules, it lets people take as long as needed to craft a word. The arts and graphic design of Spell Smashers is very good, with a mix of silly and scary that set the tone of the game. The monster tiles mixed with the modifier cards can result in some wacky monster names that will induce laughter at the table. The rule book and the player aids explain the relevant iconography with one exception. Damage types (water, earth, fire, wild) are not explicitly shown in the rule book. I would also have liked more gear and quest cards (we cycled through the quest deck in a five-player game), perhaps that could be part of an expansion. Over all Spell Smashers is a fun, light-medium game that would be a great intro/bridge game for your friends that are more into Scrabble than modern boardgames. Spell Smashers is a fantasy fighting word game for 1 to 5 players that plays in 45 to 60 minutes. 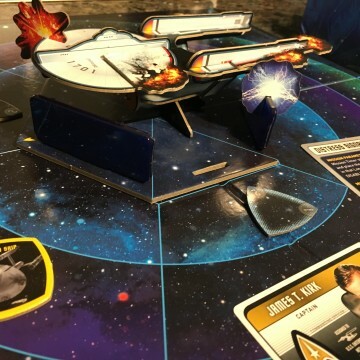 Designed by Christopher Chung, with art by Csaba Bernáth and Mihajlo Dimitrievski, it is published by Renegade Game Studios. Whistle Stop: Full Steam Ahead!